Add up to eight red call buttons and eight blue call buttons to your Secure brand SWCB-2 or SWCB-2S caregiver alert nurse call system. 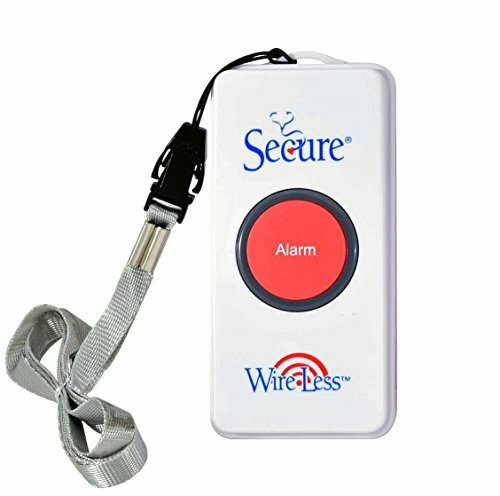 Includes one WCBT-2R blue nurse call button for use with Secure brand SWCB-2 and SWCB-2S caregiver alert sets. Up to eight WCBT-2B (blue button) and eight WCBT-2R (red button) nurse call buttons can be paired with one SWCB-2 or SWCB-2S caregiver receiver. If you have any questions about this product by Secure, contact us by completing and submitting the form below. If you are looking for a specif part number, please include it with your message. SafetySure Mobility Sheet - Small - 16" x 39"